Grew Up… in a laboratory in Illinois. HAL 9000, a highly intelligent supercomputer with a large red "eye", became operational on January 12, 1992. HAL is capable of everything from playing chess and lip reading to displaying emotions like a human. Living… aboard the spacecraft Discovery One with the other five (human) members of the crew. Profession… crew assistant. 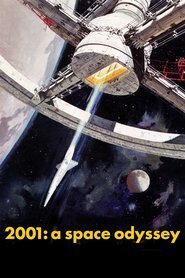 HAL has been programmed to complete Discovery One’s mission to Jupiter, and he will not let any fallible human being stand in his way. HAL’s job is to be reliable and fix any problems that may arise. Relationship Status… involved in a “stimulating” relationship with fellow crew members, Dr. Poole and Dr. Bowman. Personality… calm, intelligent, and extremely rational. HAL is driven by logic, but unfortunately the world is not always a logical place. HAL speaks in a monotone voice, which is calming and creepy at the same time. Hal 9000's popularity ranking on CharacTour is #1590 out of 5,000+ characters. See our top-ranked characters and read their profiles.